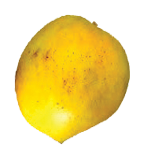 Payri mango is a popular variety of mangoes grown in the Ratnagiri Devgad belt in the western coast of India. Payri is generally used in combination with Alphonso mango to make Aamras or Mango Juice. It is less sweet than alphonso but juicier. A mixture of Alphonso and Payri mango makes for an excellent Aamras. Payri is an extremely delicate mango with low shelf life. Typically it is juiced immediately when ripe and the juice is stored (refrigerated or frozen) for future use. The season for Payri is generally the second half of the month of May.